The term warm standby is used to describe a DR scenario in which a scaled-down version of a fully functional environment is always running in the cloud. A warm standby solution extends the pilot light elements and preparation. It further decreases the recovery time because some services are always running. By identifying your business-critical systems, you can fully duplicate these systems on AWS and have them always on. These servers can be running on a minimum–sized fleet of Amazon EC2 instances on the smallest sizes possible. This solution is not scaled to take a full–production load, but it is fully functional. It can be used for non–production work, such as testing, quality assurance, and internal use. In a disaster, the system is scaled up quickly to handle the production load. In AWS, this can be done by adding more instances to the load balancer and by resizing the small capacity servers to run on larger Amazon EC2 instance types. Create and maintain Amazon AMIs. 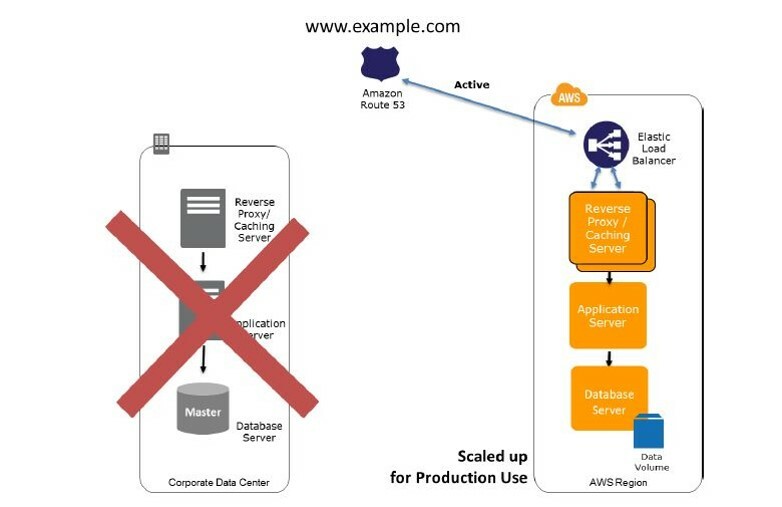 In the case of failure of the production system, the standby environment will be scaled up for production load, and DNS records will be changed to route all traffic to AWS. 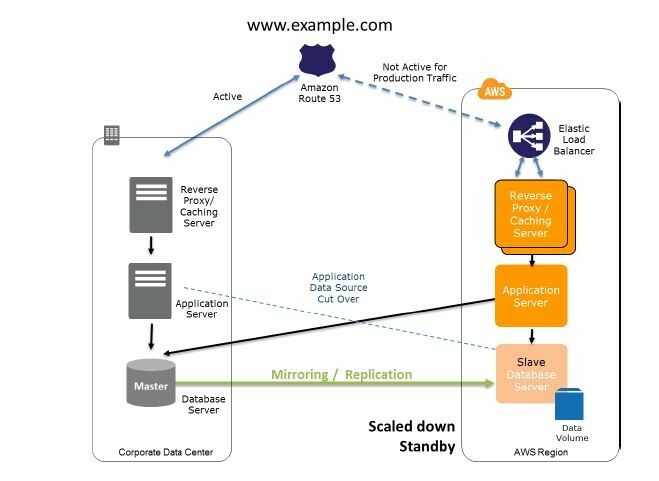 Consider using AWS Auto Scaling to right-size the fleet or accommodate the increased load. Add resilience or scale up your database.